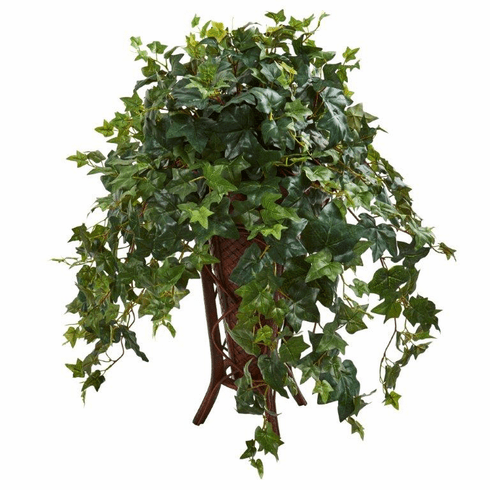 With its copious amount of small green leaves, the 34-inch artificial ivy plant sports a large, luxuriant look. Its leaves fall over and hang down over a stand planter, nearly obscuring it from view. Use this stunning d�cor piece to strongly accent a neutral-colored foyer with it�s intense greenery by placing it on a table between two arm chairs. Or, it can be placed in your home entryway near a staircase.